Book now and join professional landscape photographer Paul Bruins on an action-packed five day workshop, photographing the largest and most spectacular waterfall on the planet. 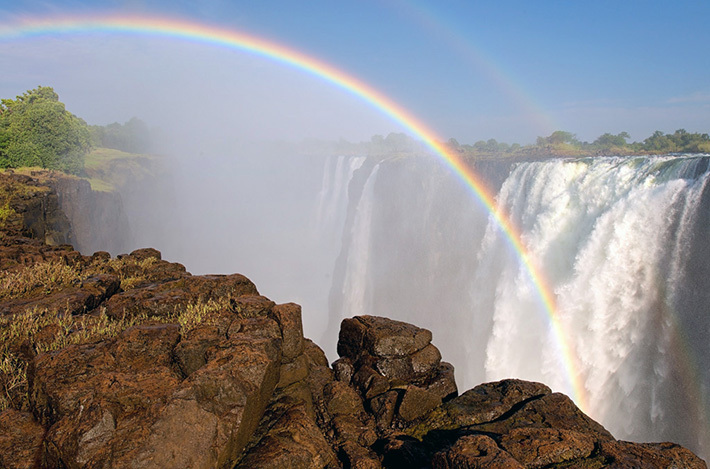 This is your unique opportunity to experience the majestic Victoria Falls, undoubtedly one of the most awe-inspiring natural wonders of the world. At 1,708 metres wide and 108 metres high, these falls form the largest single sheet of falling water anywhere on earth. It is here where the entire volume of the Zambezi River, which forms the natural border between Zimbabwe and Zambia, gains speed and plummets down into the Batoka gorge, a narrow zigzagging channel carved out over millions of years along a fracture zone in the basalt plateau. 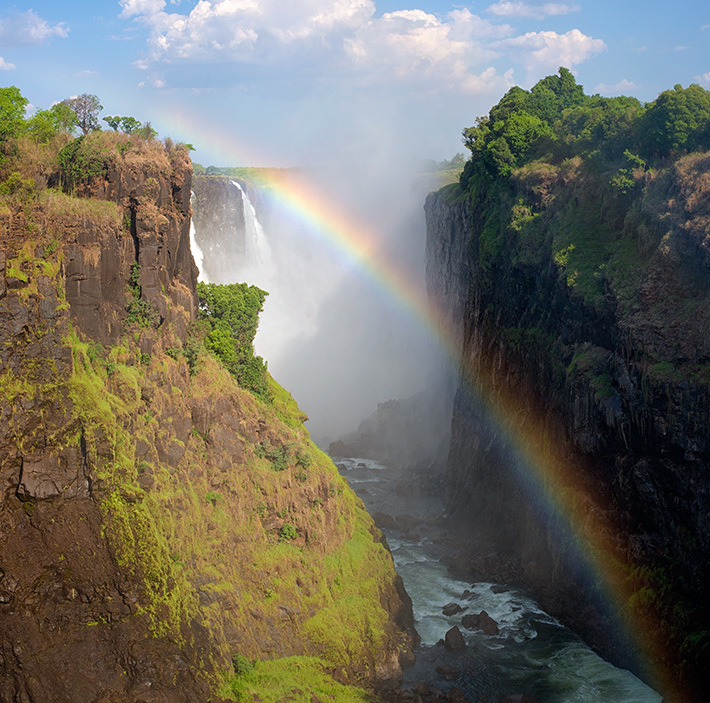 Victoria Falls is truly a photographer’s paradise, with breath-taking views in every direction. Capturing unique and interesting photographs of these incredible views can be quite challenging however, the constant spray, the limited number of viewing-points and the thousands of tourists can frustrate even the most dedicated photographer. But with a bit of forward planning, and plenty of hints and tips along the way, capturing your own beautiful photos of these stunning views is almost guaranteed. Not only will we be visiting the falls at different times of the day on each of the five days of our workshop, but you will also be offered short daily presentations to assist you with composition, equipment care and processing tricks. This workshop has been specifically arranged to coincide with the full-moon. So, clear-skies permitting, we will be visiting the falls after sunset on night of the 17th November, to witness and photograph the delicate lunar-rainbows, created by the light of the moon reflecting in the water particles of the misty spray. In addition to our regular visits to the falls, we will also have plenty of opportunities to capture other non-waterfall related photographs. Our workshop itinerary will also include a visit to a local game-reserve, an elephant-back safari, and a sunset booze-cruise on the upper Zambezi River. The cost of the workshop includes all accommodation and meals (including a dinner at the world-famous “Boma” restaurant), park entry-fees for all visits to the falls, all transport to and from the falls, and for all the additional activities on our itinerary. Contact Paul Bruins at info@paulbruins.co.za for more information and to secure your booking.